The Cardine-Torris project was approved on January 16, 2013 by the Loudoun County Board of Supervisors. 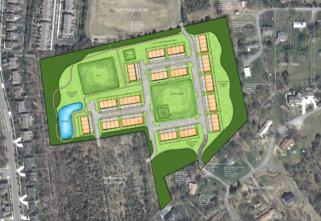 Equinox represented the Applicant, M/I Homes, during the rezoning of this 14.72 acre property from CR-1 to PDH6, which was an assemblage and consolidation of three of the few remaining undeveloped properties in the Dulles South area of Loudoun County. When fully developed this site will consist of 70 townhouses. A central community green will act as the focal point of this neighborhood and include civic amenities such as a gazebo and picnic area. A multipurpose trail will pass through this development and connect with the adjoining townhouse development to the south, connecting both of these neighborhoods to the mixed use commercial community to the north and the existing trail along Tall Cedars Parkway to the south. In addition to allowing the existing mature vegetation along the periphery of the site to act as a screen, a portion of the site will be returned to a more natural vegetative condition, including indigenious widlflowers, grasses and woody vegetation. The area will be a combination of meadow and forested area, planted with native grasses and trees, and allow for the protection and enhancement of native habitat for various native species of fauna as well. 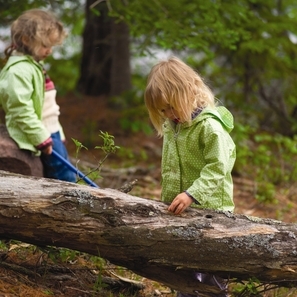 A nature trail with interpretive boards will allow the residents of the community and adjoining communities to enjoy the natural conditions in this area and learn about local flora and fauna and the importance of the incorporation of such green spaces and habitats into suburban and semi urban communities.